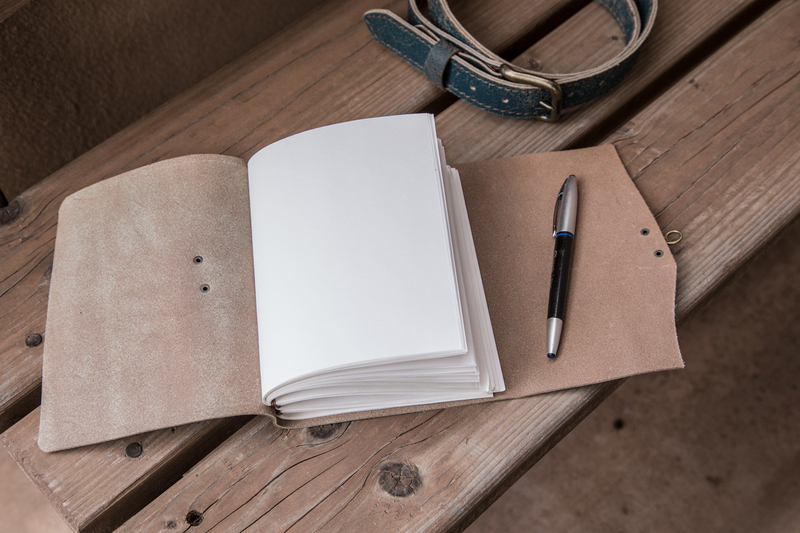 5 1/2″ x 7″ leather journal and handmade leather belt combo. SKU: 040. Category: Limited Edition. Indigo Rust is our 2016 holiday season limited-edition release. 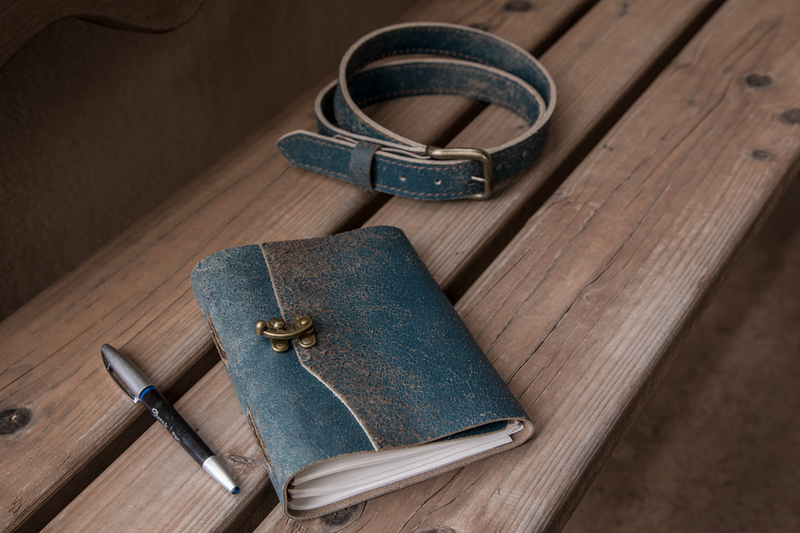 The leather we use has a blue faux texture, with a khaki-grey undertone that comes through to look like rust. 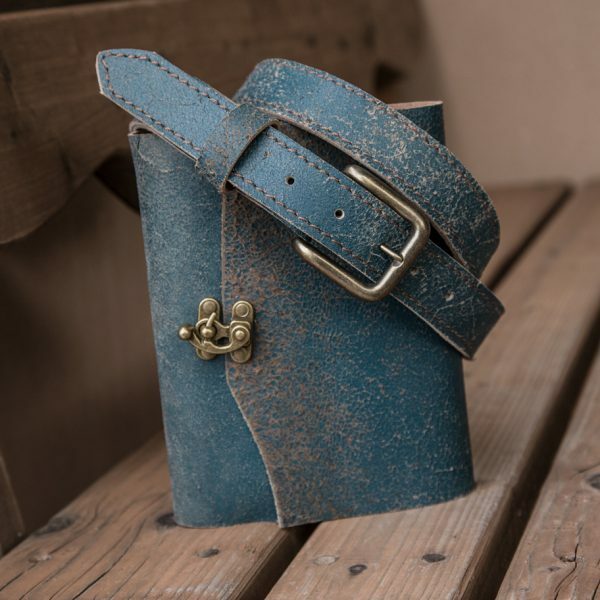 This leather is a part of a limited-batch, meaning once the winter is over, these belts won’t be available anymore. We use 60 lb. 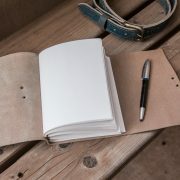 recycled sketch paper by Strathmore, making one of the best drawing or writing experiences you can have. 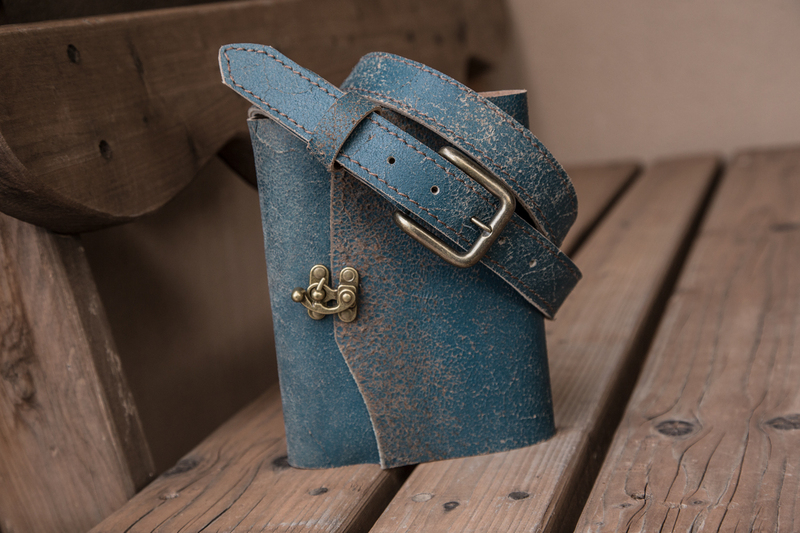 Each signature is hand-stitched to the leather, and each belt is hand-stitched with our Tippmann Boss hand-stitcher. Laser engraving is the only way we can customize this leather, given its texture. For all laser engraving inquiries, please contact us at trekkerleatherco@gmail.com. 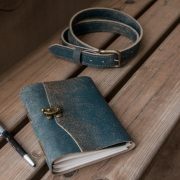 Please allow us 5 days to complete your order: because of limited supplies, we don’t make your belt until you order it. We ship this item via USPS First-Class, and if you would like rush manufacturing and shipping, you can select that as an option upon check-out.